This book worth RM120 is yours FREE if you subscribe or renew your Malaysiakini subscription for 2 years at RM288 from April 10 to April 30. 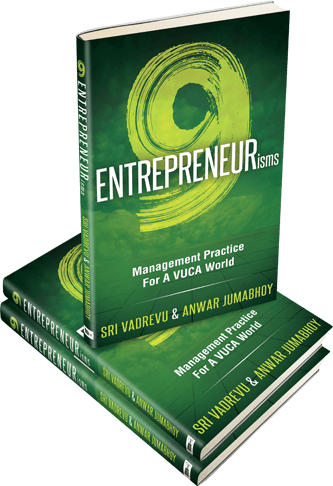 Sri Vadrevu and Anwar Jumabhoy’s, 9 Entrepreneurisms: Management Practice for a VUCA World is a book that gives answers to what every leader and entrepreneur wants to know. In a nutshell, what is the secret sauce that has led to the success of companies as diverse as Google, GE and Reckitt Benckiser? Or is there a secret at all? How do two businesses that start out with similar products and resources end up with vastly different outcomes? Why does one become a multi-billion dollar success story while the other fades into oblivion? What did the founders of Uber, Airbnb, and other hugely successful entrepreneurs do to catapult them onto the world stage when millions of others struggle to make their payrolls? Is there a way that a large company can be managed with the passion, energy and innovativeness of a start-up? These are questions that every leader and entrepreneur wants answers for. Authors Sri Vadrevu and Anwar Jumabhoy have spent the past few years examining the culture, and practices at various businesses, what made the business prosper, and why they struggled. Their exhaustive research is laid out in 9 ENTREPRENEURisms. The authors have identified nine Entrepreneurisms that must be part of the infostructure of a corporation in order to achieve success in today’s Volatile, Uncertain, Complex and Ambiguous (VUCA) world. Sri and Anwar debunk many myths about what makes a business successful and look into behaviors of entrepreneurs and CEOs who both succeed and fail. Issues such as risk taking, the Business Frame, the role of board members, having the right people in HR, and managing talent are all discussed in this must-have book for any entrepreneur. 9 ENTREPRENEURisms helps you avoid the many pitfalls of being an entrepreneur that so many before you have fallen into. 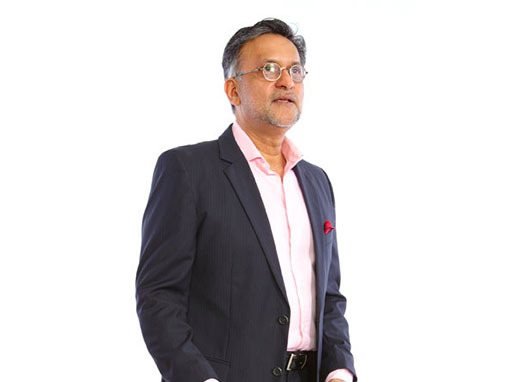 Both Anwar and Sri have extensive worldwide experience working with large corporations, as well as with entrepreneurs who are seeking to navigate the ever-changing ocean of technology. Their reputation as experts of business strategy and organizational culture is stellar, and research and findings they share here is valuable. Whether you are starting a business, expanding a business, or already at the top, this is a must-read. You will thoroughly enjoy the variety of different businesses that Anwar and Sri examined, and their unique insights. Entrepreneurship is being taught in schools and universities, with the hope of creating more successful entrepreneurs. Little thought is given however the elements of entrepreneurship can be embedded into companies, both large and small. Discover the 9 Entrepreneurism’s that define how entrepreneurs think, and act, which we have which are derived from a study of research material and over 80 interviews. Understand how entrepreneurs think & work. Read about successful entrepreneurial companies. Read why companies “missed the boat”. Understand why your organization needs to change. Entrepreneurship is not about empowerment. Leadership development and entrepreneurship go hand-in-hand. Discover your organization’s entrepreneurial level. Learn how to remake and ignite your organization. Learn why a “pocket approach” entrepreneurial development does not work. Entrepreneurship is not about risk-taking – Entrepreneurs don’t take risks. Having experienced working at IBM for over 12 years and co-founding Sony Entertainment Television, I can safely say that this book is a great resource for both entrepreneurs and corporates. In today’s game, these nine traits are essential for both players to succeed. All CEOs I meet wish their organizations would be more entrepreneurial but don’t always know how to go about it. ’9 ENTREPRENEURisms’ provides you practical answers on how to address this challenge. Written by two practitioners, this great book offers 9 tools and a solid roadmap on how to make your business more agile and competitive. I strongly recommend this book to every leader seeking to imbed an entrepreneurial culture in their organization. The 9 Entrepreneurisms are spot on and the six-sigma based methodology is workable and practical.